As two couples visiting Nova Scotia, we were very comfortable in Bella Vista. The home was clean and well-appointed. The beds were comfortable. Unfortunately, we chose a rainy cold week to visit. But we put our raincoats on and visited some charming seaside towns and walked whenever we could. Since our outdoor activities were somewhat curtailed, we were glad to have a charming house to spend time in. The floor to ceiling windows allowed us to look out at the beautiful harbor while enjoying indoor activities. The house is in a good location, close to a number of seaside towns and 30-40 minutes from Halifax where we visited the maritime museum and caught a movie. We really enjoyed our visit. We were very relaxed and happy during our stay at this cottage in the beautiful Deep Cove area .The view from the cottage is outstanding and on sunny afternoons we loved sitting outside in the Adirondack chairs. The cottage is very nicely furnished and has everything that we needed to prepare meals and be very comfortable during our stay. I really feel that the owners have supplied everything necessary for a perfect holiday . Thank you so much for letting us experience such a wonderful location! The property was beautifully appointed and well supplied. All appliances top of the line. We enjoyed use of an immaculate gas grill and well stocked kitchen. The surroundings were quiet, the view of the cove peaceful and beautiful. This well designed home allowed for complete privacy for upstairs bedroom suite from downstairs both in location and sound. Coastline properties as rental agent was immediately responsive to all questions. We had difficulty with TV/DVD and he was right there to assist. We highly recommend this property for your vacation. This house worked family visit to Nova Scotia. The house was clean and well equipped. 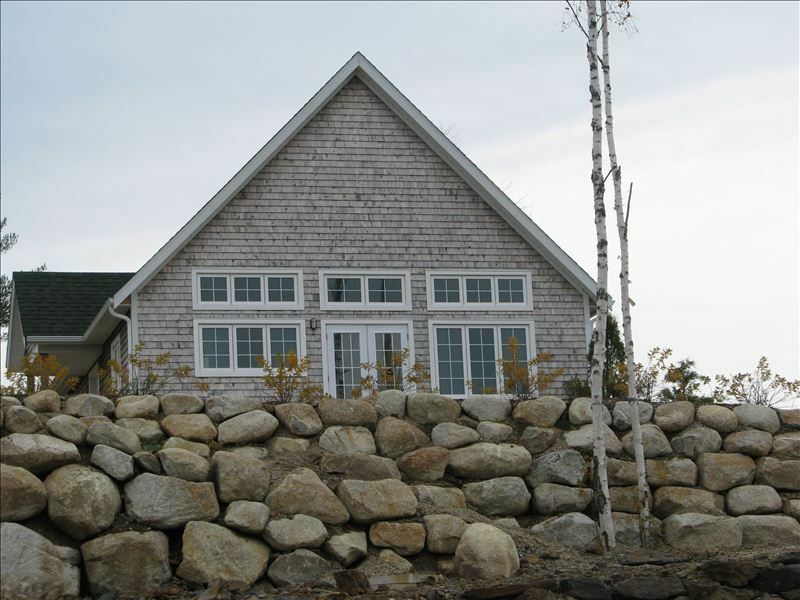 The location of the home was good for day trips to Halifax, Peggys cove, Mahone Bay and Lunenburg. The view from the house was of a beautiful cove. Thanks for your review. Hope you enjoyed your Nova Scotia vacation. We enjoyed a fine week at the house, which is exactly as shown in the pictures: clean, light and airy, with all the amenities necessary to ensure guests' comfort and enjoyment (the only item that had any sign of wear and tear was the barbecue, which had seen better days and was a bit of work to light!) The location is ideal for exploring the South Shore, including Halifax, Chester, Mahone Bay and Lunenburg. We also loved Bayswater Beach (a 10 minute drive away), where there was lovely sand and ample space for our dog to roam, and the (also dog-friendly!) Cove Coffee in Hubbards.